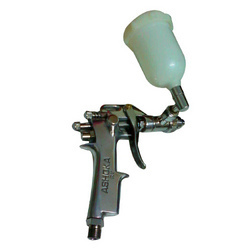 We are the leading Manufacturer and Supplier of Chemical Spray Guns. 250ml. This sprayer is a single piston pump with crank shaft working in oil bath. The other assembly mounted on pump body comprises of 3 parts viz. Suction chamber at the bottom, valve chamber at the centre, and delivery chamber at the top. Due to our specialization in domain, we offer wide range of Kerosene Sprayer. Sprayers from hobby line are air-compressed 3, 5, 8 liters capacity devices. they are perfect for spraying with plant protection chemicals and liquid fertilizers in orchards, nurseries, plantations, vegetable growing, unroofed cultivation, decorative plants and neutralize chemical pollution. Our qualitative range of Sprayers encompasses compression sprayers, chemical sprayers, plastic trigger sprayers and trigger sprayers. Furthermore, our vendors develop this equipment using high quality plastic, brass product and stainless steel. Offers uniform chemical spraying, these sprayers are appreciated for their long-lasting nature and corrosion-resistance. 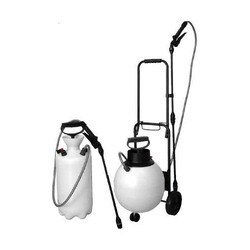 Our product range includes a wide range of Agriculture Battery Sprayer such as Agricultural Rechargeable Battery Sprayers, Battery Powered Knapsack, Battery Sprayer Pump and Battery Agricultural Sprayer. Ideal for small nurseries and rose plants for spraying Wettable insecticides and fungicides. and available with Light weight (1.7 kgs) & user friendly sprayer and Corrosion resistant plastic tank base. Commonly used for packing perfumes, these bottles are resistant to corrosion, tamper proof and durable. We make use of high quality raw material in the production and provide the Aluminum Spray Bottles in different finishes.